Day 4. The dress coat! It’s everywhere! 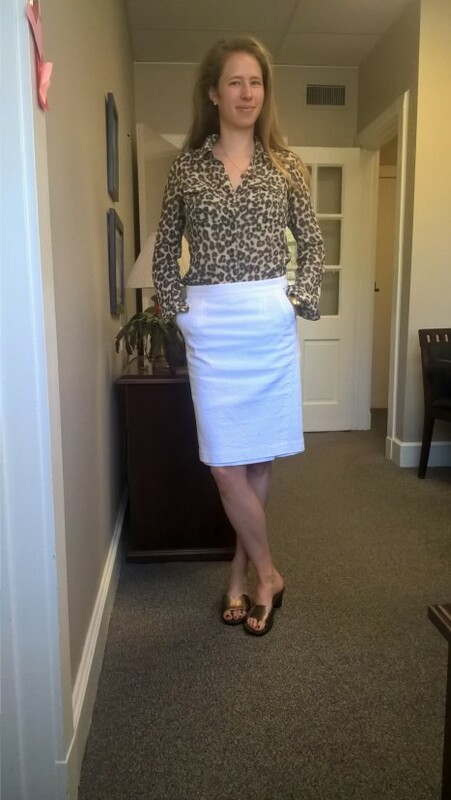 This time I wore it over my Banana Republic leopard print “Heritage” shirt and a textured white skirt (cotton/rayon/linen) by Ann Taylor. Shoes by Bandolino; all thrifted. 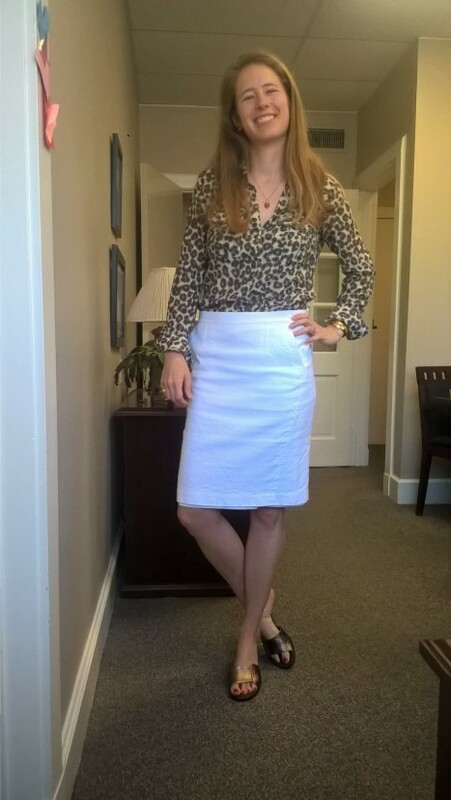 Thoughts on this outfit: pencil skirt + tucked in blouse with a little drape and give, in classic white and funky leopard = my sweet spot. 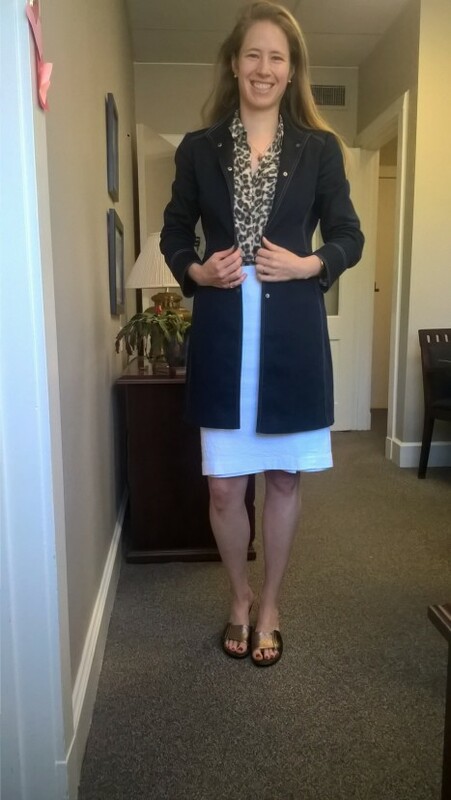 The leopard print pops against the white and the coat finishes it all off. I’ll get to try out this skirt one more time next week. 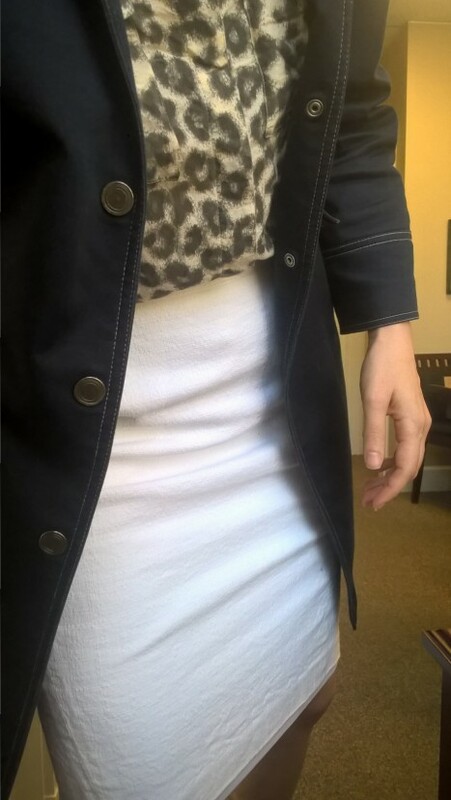 Right now I’m thinking I will keep it, but I also did a thought experiment about donating it and realized I wouldn’t miss it that much – my navy and taupe pencil skirts go with everything, plus I have white trousers for a pop of white against my fun spring/summer blouses. 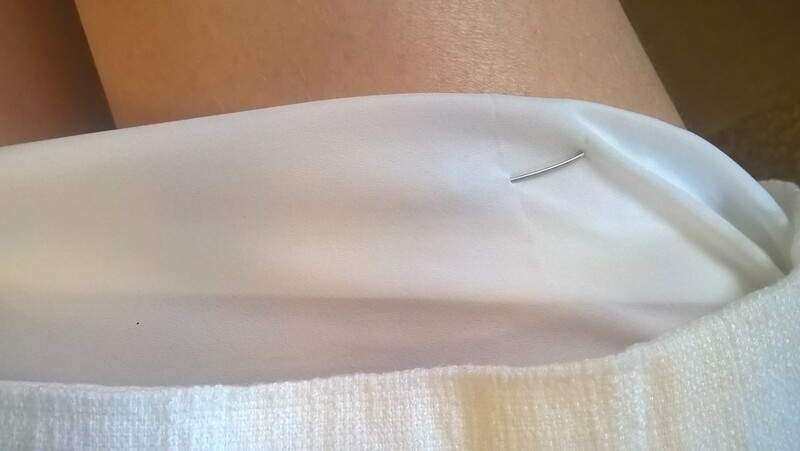 Those puppies are lined, though, and get pretty hot on 90 degree days, so having a white skirt on hand is tempting. What do you all think of this skirt? The outfit? How’s your remix? PS There’s lots of inspiration and ideas on Instagram #Spring10x10 – great for inspiration even if you’re not participating this go-around! Thanks, Leah, they look great! Keep the skirt!! If it isn’t washed after every wearing you might try pressing the lining’s hem a the corrected length and using scotch tape to hold it in place. I’ enjoying your 10X10 challenge! Ilona, great idea! There’s also something called hem tape you can use for a quick fix and I think I even have some (thanks to a sewing kit someone made me when I went off to college). You could use iron on hem adhesive on the lining. Super easy to do. Get it at any place they sell fabric. That’s what it’s called! Thanks Jill. I like the way the sandals pick up the color of your blouse. 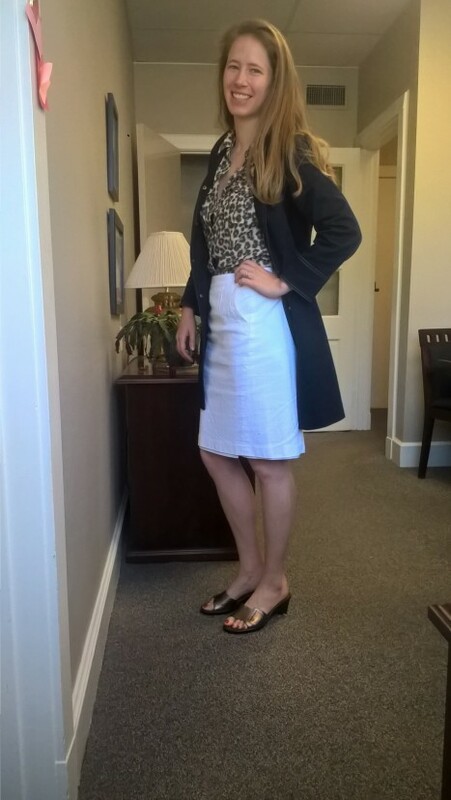 I agree about keeping the skirt-it looks great on you! Right? 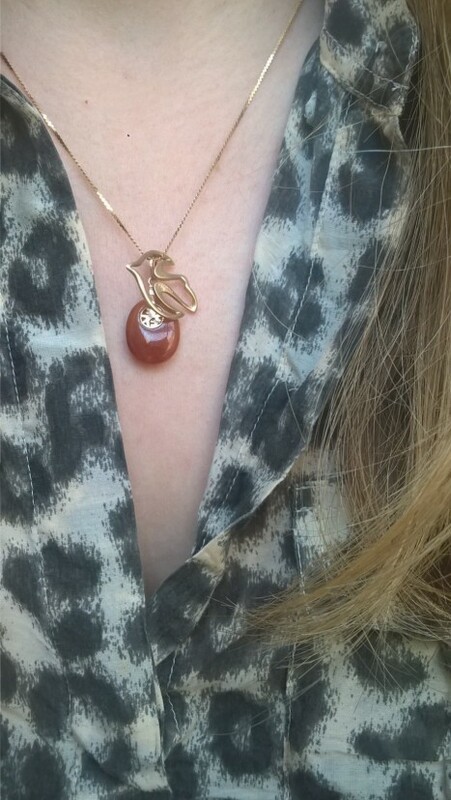 That bronze-y color is great, I knew I had to wear them with this top. 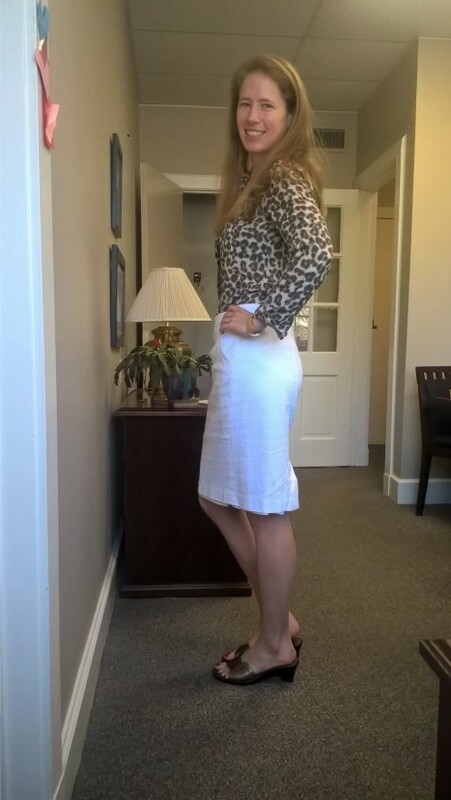 Thanks for the skirt feedback and for commenting!